A visit to Cefalù is surely one of the must things to do when in Sicily. A lovely little cathedral town located on the northern coast 70 km (43 mi) from Palermo, it is full of beauty and attractions for the tourist concentrated in a delightfully confined area. 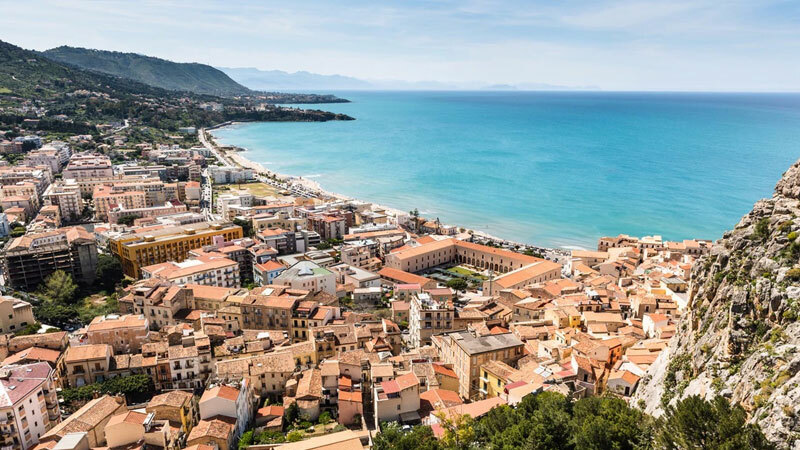 Despite its size, Cefalù has thousands of years of history and is also a renowned destination for its lifestyle, with its beautiful sandy beach overlooked by restaurants, cafés, pubs and shops. The first settlement of this area dates back to prehistoric times. The town was founded by the Ancient Greeks with the name of Kefaloidio, which means “head”, probably in reference to its headland. though it is not clear when Cefalù was actually founded because according to the historian Thucydides Himera, an important ancient city in the proximity that today is a fascinating archaeological site, was the only Greek colony on this part of the coast of Sicily. Probably Kefaloidios was the fortress of Himera and the first settlement for the refugees fleeing Himera’s destruction. In the II century BC, during the First Punic War Cefalù was taken by the Romans, to which they gave the name of Cephaloedium. After the fall of the Roman Empire, it was occupied first by the Byzantines and then by the Arabs in 858 AD. Gafludi, the name giving by them, remained under their rule for two centuries, until the Normans conquered it in the XI century. Their rule represents the most important period for the town because of the monuments we can appreciate today. Like Taormina, it became the favoured destination for the young, leading personalities of the upper classes, mainly thanks to the foreign consulates that were opened here. A visit to the Temple of Diana is highly recommended. Located atop the promontory that dominates the town known as “la Rocca”, it is a megalithic monument built by the Sicans, one of the native populations of Sicily, which served as a solar temple. Diana, which is the Latin name for the Greek deity Artemis, was the goddess of hunting and protector of youth venerated by the Sicans. Although the temple is of Sican origin, some of the remains you can see are Greek: in fact, in the Fifth Century BC sections in classic style were added. On the summit of the Rock there are the ruins of a medieval castle (named u castiueddu): from here you can admire all the stunning coastal views and Cefalù below. To reach the Temple of Diana and the Rock you have to take the footpath located on the west side of the town near the cemetery. Descending from the promontory into the centre, the main street is Corso Ruggero, dedicated to Roger II, the Norman King who ruled over Sicily and thus the city during its most prosperous period. This street crosses the town dividing it into two parts and it is important not only for the shops but mainly for the Osterio Magno, a historical fortified palace built for Roger II as his residence. Since this building was completed in two different periods (XII and XIII century AD), the palace has two different architectural styles: very particular is the façade of the so-called “Palazzetto” (small palace), with two decorative elements in limestone and tuff that alternate vertically. The walls of the square tower belong instead to the earlier building phase, and are based on pre-existing Greek foundations. Recent restoration work has uncovered some remains of the Hellenistic buildings as well as bronze coins and pottery. During Roger II’s time, the Osterio Magno extended until the fish market and had a large internal courtyard. Over the years it has been the home of several noble families until it was divided into different properties for various destinations. Today, the Osterio Magno hosts some cultural events such as book and art exhibitions. The symbol of what the Normans left us in this town is the Cathedral. The story goes that this building was the result of a vow made to the Holy Saviour after Roger II survived a storm at sea and landed in Cefalù. The facts are that the construction began in 1131 and were completed in 1240, it was host to the tombs of the King and his wife for some years. This Norman-Arab-Bizantine jewel, situated below of the Rock, stands out over the town and it is listed in UNESCO’s World Heritage Site together with Monreale Cathedral and other related monuments in Palermo. Cefalù Cathedral is surely a world attraction because of the mix of Norman and Byzantine elements, which reflects the melting pot of culture and civilization in act during that period: Externally the two Norman towers with the Romanesque style mullioned window stand out while the interior is mainly of Byzantine origins, characterized by very unique arches and mosaics. The main mosaic is located in the apse portraying the Christ Pantocrator with the right hand raised in Benediction and the left hand carrying the Gospel of John. His impressive figure, clothed in blue on a gold background, dominates the church interior, especially upon entry. But there are other interesting mosaics, some related to the Christian religion such as the Blessed Virgin Mary or others like those of Paleo-Christian origin, rediscovered after some excavation work that would presume a pre-existing building. Cefalù is also an excellent place to relax and nurture well-being. The long sandy beach and safe waters are great for those hot summer days and a stroll along the seafront, maybe at dusk, is the perfect end to a perfect day. Renting a dinghy from one of the local operators to swim in the deep blue sea or explore the coast is but another possibility, as is a full water-based programme of activities or biking tours for all abilities. A walk around the typically Sicilian historic centre will present you with many souvenir shops and clothes stores as well as restaurants, pizza parlours and street cafés. For more fun get back to the seafront where pubs and discotheques offer everything to enjoy nightlife at its best. 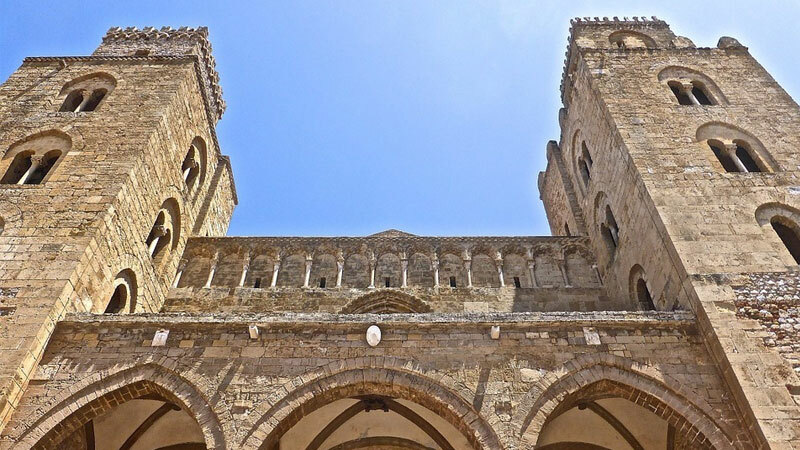 Like the other attractions in the Arab-Normans style, Cefalù Cathedral is yet another portrayal of traditions that today seem so far apart but in other times quietly lived together.